Dickinson sits on the North Dakota prairies at the midpoint between Fargo and Billings. Located near the of the Hell Creek formation, one of the most famous and intensely studied dinosaur fossil sites in the world, the area’s ancient inhabitants are commemorated at the Dakota Dinosaur Museum. 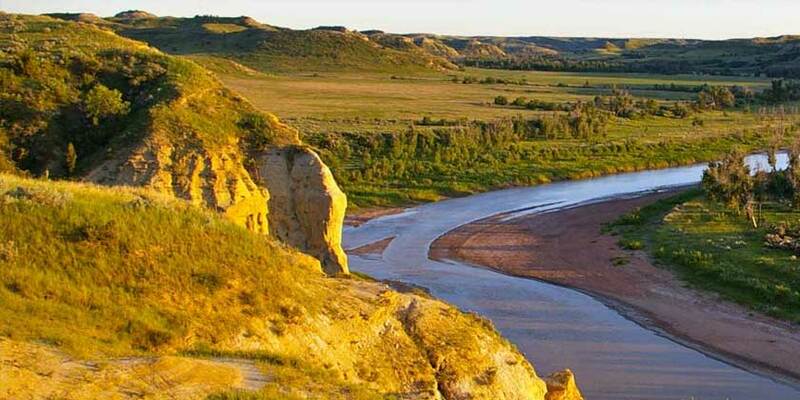 The town is also a gateway to Theodore Roosevelt National Park and the badlands where buffalo and wild horses still roam.